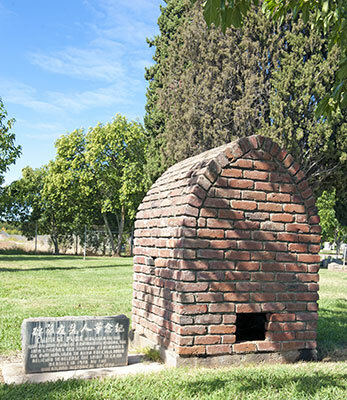 Chinese Pyre was used by the Wheatland Chinese Community during the 1870s - 1890s for funeral ceremonies. The pyre was used to burn precious paper believed to release the spirit to go on. Rebuilt in 1978 by the Wheatland Historical Society.